The hill just to the east of High Prairie School Division office is a ready made pile of fun once snow falls. The hill makes for a perfect sledding venue. Many children and families have attended this winter to enjoy the slopes – not too steep yet fast enough to enjoy. 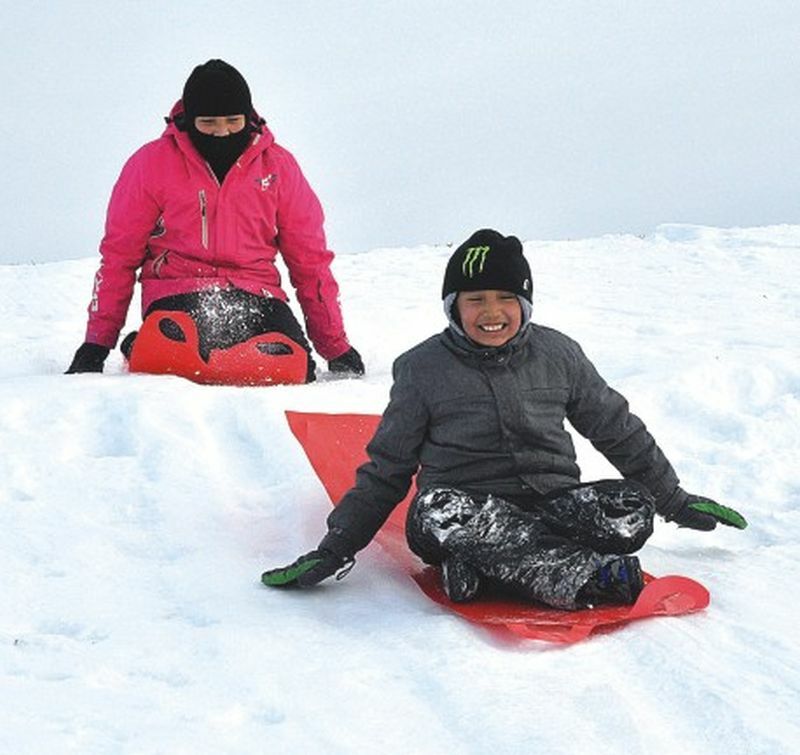 Above, front to back, Xavier Supernault, 8, and Danielle Supernault, 11, enjoy a warm day sliding Jan. 13. The hill is in the east end of town.